March 26, 2018 /in Alternative Dispute Resolution, Articles, Conflict Resolution, Personal Injury /by Joe Epstein Esq. This article originally appeared in Trial Talk/Colorado Trial Lawyers Association – February/March 2018. Reprinted with permission. Treat catastrophic injury cases with the care they deserve and require, with compassion and consummate care. Plan your case from the outset and keep planning. Associate with highly qualified attorneys and experts. Use focus groups early and often. Find the right mediator. Prepare a concise mediation statement. Hire the mediator who honors the words of the Dalai Lama by looking at all aspects of the case, listening to all, and staying open to disparate information. Find a mediator who walks his/her walk with clarity, compassion, empathy, patience, and insight. Grief, anger, and fear are the three emotions with the widest and deepest display at catastrophic injury mediations. Mediators, advocates, parties, and negotiators must be aware of these emotions and wise enough to gauge and address their impact before, at, and during mediation. Appreciative, respectful, even compassionate listening are valuable tools in building a settlement in such cases. Just listening to the stories another shares about their grief, anger or fear goes a long way towards making closure possible as does relevant self-disclosures which create a common bond. Investigate as early as possible and re-investigate. Locate key witnesses and meet with them personally or via an investigator when that is appropriate. Work with governmental agencies as appropriate. Put together a “cast of characters,” a chronology and a story that counsel updates as the evidence evolves. Mediators are not all alike. It is important to examine the legal and emotional issues that are part of the catastrophic injury case. Determine which mediator has the life experience, mediation experience, and legal experience with a case like yours. Which meditator can listen objectively and compassionately to all parties? Determine who will work the case as hard and as skillfully as required. Use the mediation statement to refine your case thinking for trial. Describe the relevant facts and legal issues, highlighting strengths and addressing weaknesses. Make the statement concise and pare down the attachments to the essentials. How many parties/teams are there on each side of the case? Who is coming to the mediation on each team? Would pre-mediation meetings with the mediator be helpful? Has the case been mediated before? What is the magnitude of the in- juries, damages, and losses? Who needs to give voice to their thoughts and feelings? What should the structure of the mediation look like? What preparation does my client, my opponent, and my mediator require? Should there be an opening session? If so, what should it look like? How should you handle breaks (scheduled or not) and lunch? What consideration should you give to pace? How should the parties manage the flow of information? Remember as a negotiator, you are looking for closure. Remember your goal, your objective; look for the path to settlement through the roaring thunder of argument. Be enlightened and enlightening, gracious, and clear. Give people “face” and respect. Manage time and expectations. Be open to creative closing strategies. Catastrophic Injury cases need extra care. Their mediation process should start with the selection of a mediator uniquely qualified by temperament and experience who can deeply listen to the parties and lead them to a settlement. It should then move to a mediation process designed to fit the parties—counsel and clients. While the mediation process should be pre-designed [and front-end loaded] it needs to be flexible enough to fit the ebb and flow of a dynamic mediation process that you have geared to settlement. At mediation storytelling, compassionate and critical listening, appreciation of all aspects of the case, and a will to reach a settlement are the necessary ingredients to a successful mediation. Calm mind brings inner strength and self-confidence. To order to carry a positive action we must develop here a positive vision. 1 For a full exploration of this topic see Joe Epstein, Esq., with Susan Epstein, Esq., Grief, Anger and Fear in Mediation, Trial Talk, June/July 2010, at 37. Joe Epstein, named as the 2013, 2015, and 2017 Barrister’s Best “Best Mediator” in Colorado, has been recognized as one of the best commercial mediators worldwide, and a top lawyer in Labor and Employment. Joe is known for his handling a diverse variety of highly emotional and complex cases. 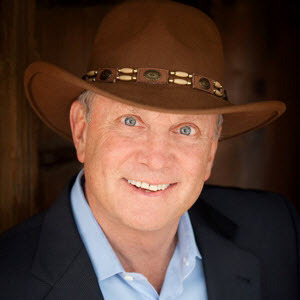 A mediator, writer and educator, Joe is Past Vice-President and a Distinguished Fellow of the International Society of Mediators and a member of the National Academy of Distinguished Neutrals -Colorado Executive Committee. Joe has mediated over 4000 cases.